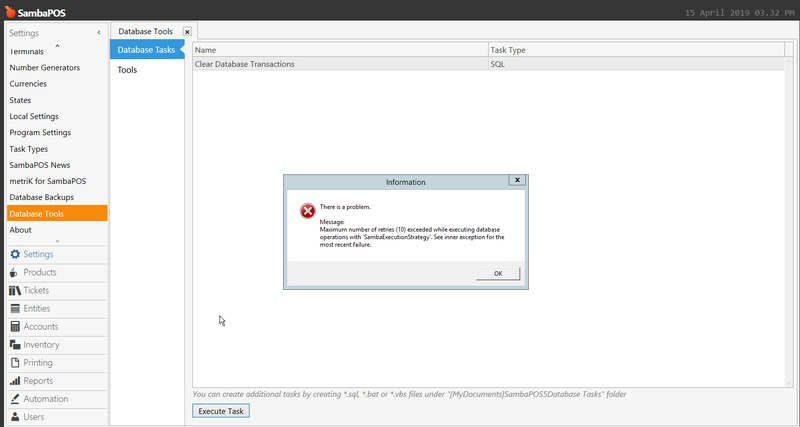 SQL Database clear tool error and workaround? 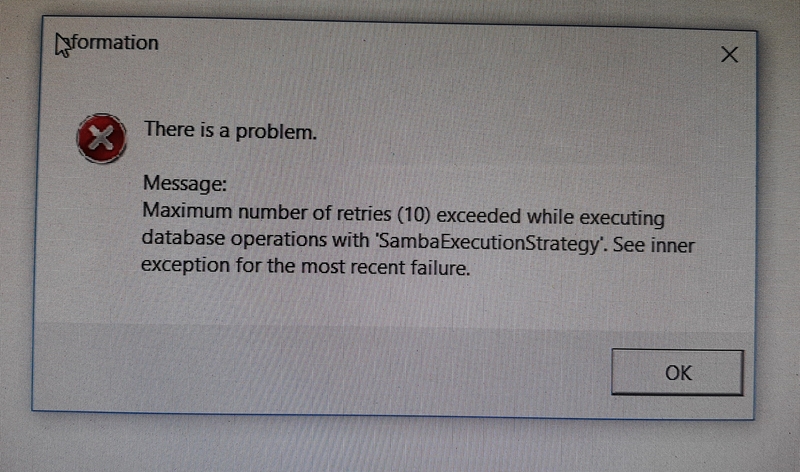 Ive been struggling to clear my database to try and solve another problem i’m having but cant seem to get the database to clear using the SAMBAPOS database tool. My server is standalone and is running server OS and has 8gigs, I am running my store with many terminals connecting to it AND now I’m asking it to clear a second clone database so I can expect the 8gig of ram to be taxed, but i’m getting database connection errors one the sambapos connected to the clone database that i’m trying to clear.